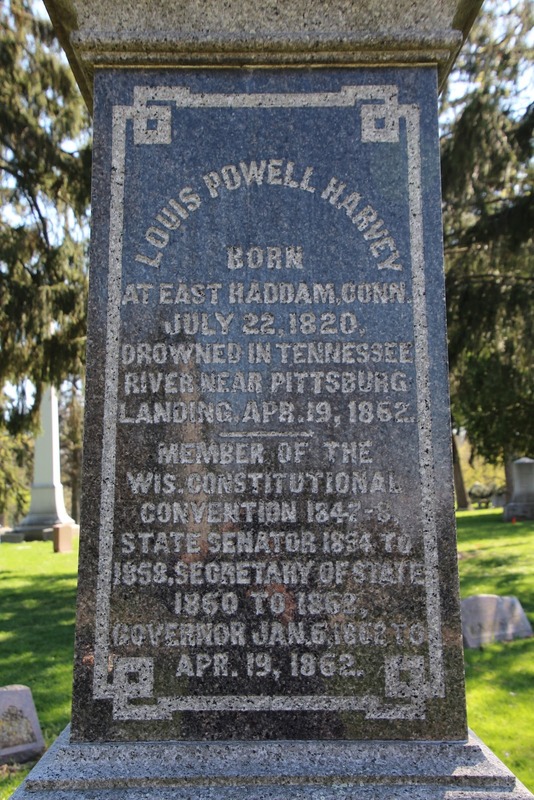 Louis Powell Harvey is buried in Lot 2 (see map below) of Forest Hill Cemetery, 1 Speedway Road, Madison, Wisconsin 53705. See also, Cordelia Perrine (Harvey) Chester Burial Site, also at this location. The memorial's exact location in the cemetery. Governor Harvey's headstone is on the left. 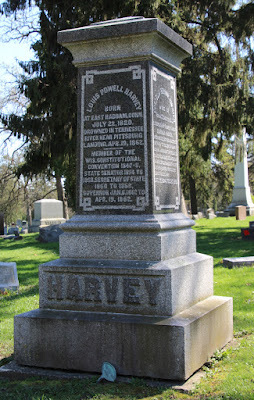 Governor Harvey is buried in Section 2 of the cemetery.